12/30/2016 Friday - ACTOR JON CYPHER sends a unique and vitally important message to President-elect Trump about how one simple step on to the Presidential and World stage can and will change the course of history by agreeing to champion the "Treaty on the Prevention of the Placement of Weapons in Outer Space" introduced by Russian and Chinese leaders. Space cooperation is a "force for peace on earth," as President Vladimir Putin has said. Signing the Treaty that will ban all space-based weapons, continuing the peaceful cooperation in space that is currently in place will usher in a new, stimulated Space Age economy providing more jobs and profits than from any hot or cold war. As UN Russian Ambassador Dr. Vitaly Churkin has pointed out: it was the US (under the old administration) that refused to sign the Treaty. Since President Putin has long been ready to sign this Treaty, it is a given that other nations will now follow. 12/16/2016 Friday - Carol gives updated commentary about Dr. Guy McPherson, an internationally recognized science expert. The extinction event he predicts is coming based on what has already happened to this planet. PREPARE! 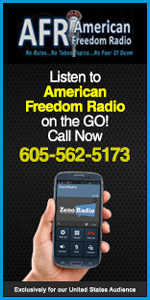 It's the truth and our decision makers won�t tell you. What to do! Note: This is NOT a doomsday message, & not a projection or theory. This is the TRUTH, today. And it is about CALM, and LOVE. 12/09/2016 Friday - On the Carol Rosin Show, Professor Emeritus Dr. George Lakoff, one of the most world renowned experts in linguists and a Cognitive Scientist, and author of many books including the international best seller, 'THE ALL NEW DON�T THINK OF AN ELEPHANT,' presents vitally important information in a brilliant interview based on his decades of his scholarly work and experiences to help us understand how our neural circuits, our brain and mind work, and what we need to understand to create new resulting from the election of President Donald Trump. 11/11/2016 Friday - WOW! WAR IS OVER! Listen-up! This is new and exciting, fact-packed information that is pivotal to our lives at this unique and historic moment in time! Some HUGE new things happened in November 2016! Dr. J.J. and Dr. Desiree Hurtak discuss the present and future related to this new beginning of a whole new way when real security and peace, unlimited new opportunities and needed benefits for all, truth and innovations that exist and will emerge and prevail in peace in the USA and around the whole world! J.J. and Desiree packed this show with so much information on so many subject areas of concern it would take volumes to describe�you must not miss this! 11/04/2016 Friday - This incredible interview with the brilliant world renowned Russian global political analyst and internationally honored journalist, ILYA OSADCHUK. He has held many important international journalistic and other positions including as the first Director of the Gorbachev Institute, a world expert with following of 18 MILLION VISITORS to his blog per year. ILYA OSADCHUK presented an idea packed, exciting, thought provoking, real/honest, very important update with vital timely information...all beautifully translated with serious intelligence (and some humor), with the amazingly innovative inventor/scientist and executive businessman, DR. ALEXANDER PYNTIKOV. 10/21/2016 Friday - Jean-Christophe Jeauffre is a French award-winning filmmaker/explorer. At 25, he co-founded Jules Verne Adventures, an organization dedicated to exploration, conservation and entertainment, hence the creation of the world famed Jules Verne Festival and of the Jules Verne Awards. His passion for exploration and for the ocean led him to create the Jules Verne Films & Expeditions, a production company leading expeditions around the world and producing new concepts of action-documentaries where true-life adventure meets with strong story-telling, and spectacular environment. He brought along sometimes some of Cousteau's original divers to continue the quest of his inspirational mentor. 10/14/2016 Friday - You do not want to miss KEVIN SANDERS on The Carol Rosin Show, his second appearance. After decades of insider work in major media, in several organizations as a representative at the UN, and in a variety of fast advancing fields Space Age science and technology, Kevin eloquently presents vital new and unique information, insights, and wisdom about many issues of today's concern, with vision and info that is beyond exciting. 10/07/2016 Friday - A most fascinating, insightful, and important, not-to-miss fact and truth show! : MEL FABERGAS, founder, producer and host of "VERITAS RADIO," seriously probe hidden issues that deeply affect the core of humanity, and present new, earthbound and cosmicbound high frequency primal answers, solutions, and vital suggestions for transmuting consciousness and for necessary personal and world leader actions action to responsibly take NOW. 09/21/2016 Wednesday - Today's special guest was Dr. David Livingston, "Dr. Space," internationally famous Host of "THE SPACE SHOW," Airing in over 50 countries, having interviewed over 3000 space experts, this noted media, science and world space expert presents the most important, fascinating, exciting space development updates from his uniquely knowledgeable perspective about Off-Earth business ventures, space protocols and challenges, and amazing opportunities and projects and why space is so important to all of us! 09/09/2016 Friday - DO NOT MISS: UPDATED FACE-THE-FACTS INFORMATION presented by internationally recognized science expert, Dr. Guy McPherson, September 9th, 2016. This is based on what has already happened to this planet, and about what we are all going to experience: EXTINCTION! You have a need to know. PREPARE! It�s the truth and our decision makers won�t tell you. What to do! Note: This is NOT a doomsday message, & not a projection or theory. This is the TRUTH, today. And it is about CALM, and LOVE. 07/29/2016 Friday - MARY RODWELL, RN, Director, Edgar Mitchell Foundation for Research into Extra-terrestrial Encounters Founder, Australian Close Encounters Resource Network Producer, award winning documentaries, Internationally recognized author, speaker with new forthcoming book. Mary discusses reports on her study of 3000 "Star Children," global phenomenon cases and counseling. Scientific, biological, psychological, anthropological evidence of non-human contact relationships, telepathic abilities, spiritual awakenings, advanced maturity, wisdom, genetics, a human consciousness shift and more updates! 07/22/2016 Friday - Carol Rosin's vitally important information packed overview, update, vision, wisdom and suggestions for our new EarthBOUND to SpaceBOUND PLATFORM with new steps we can take only right NOW. Carol has extensive experience in the "revolving door." This is THE time to create and give a cosmic view of all issues to candidates and "decision makers" on all levels and cultures of our planet�s societies, that can now pivot the course of history...immediately! 06/10/2016 Friday - Charles Radley, space technology expert consultant, discusses fascinating updates on what's really going on in outer space from his direct experiences in space and defense fields. He includes topics including: Space Elevators, Satellites, Solar Power, Moon Mining, Mars, Safety & Hazards, Innovations, and Dr. Gerard O'Neil's "High Frontier" Vision of Living, Working and Traveling in Space for Solutions, Jobs, Economy, Security, Social-Health-Education-Communication, Earth Observation, Environment and Energy, and World Cooperative Space Ventures for Peace and for Fun, on Earth & In Space, as we humans evolve into our new cosmic consciousness. 06/03/2016 Friday - GERARD AARTSEN discusses the most important truth and facts about the ETI (Extraterrestrial Intelligence) with real ET messages. Gerard Aartsen's info, insights, and wisdom are profoundly important and timely to pivot the course of history to peace, solutions, sustainable healthy happy lives as humanity evolves into a higher frequency of consciousness! He clears up confusion and answers questions, presenting "Priorities for a Planet in Transition." 05/27/2016 Friday - Dr. Ruggero Santilli, an icon alive in our time, received many top awards, nominated for Nobel Peace Prize, presents: Historical and Experimental Evidence on the Lack of Expansion of the Universe! Antimatter Galaxies, Antimatter Cosmic Rays and Antimatter Asteroids! INVISIBLE TERRESTRIAL ENTITIES NOW VISIBLE THROUGH HIS SANTILLI TELESCOPE! NEW INFORMATION about his earth and cosmic work on BREAKTHROUGH TECHNOLOGIES and INFORMATION VITAL TO OUR SURVIVAL! 04/29/2016 Friday - Carol Rosin discusses a new and important TO DO action plan for us to present policy "talking points" to a candidate for US President regarding agreements/business deals that can replace the entire war industry and mindset...including ideas for innovative projects for sustainable healthy green living and a real new way to a new presidential policy-platform for security and peace that benefits all issues of concern, in language to which a candidate can relate and present. Send your "talking points" for the presidential candidate spacetreaty@gmail.com or directly to the candidate. If interested in the world leader contact aspect, read Treaty on www.peaceinspace.com and send relevant talking points to spacetreaty@gmail.com. 04/22/2016 Friday - Asha Deliverance inspires and educates with incredible love, energy, and joy. She is the founder of Pacific Domes, a futuristic company that is working toward the creation of global sustainable communities. Asha is a life-long learner, who actively studies and teaches Vastu Shastra (the science of creation) and Unified Field Theory. She is an emissary of the Resonance Project. She practiced and taught Kundalini yoga and spiritual healing. She was one of the founders of the UCSC Farm Project in the early 70�s, which is now considered the Harvard of organic farming. 04/08/2016 Friday - Today's Special Guest was ABE KRIGER, a former 37 year Boeing Executive, International Space Station, Lunar Orbiter, Russia cooperation. 04/01/2016 Friday - A rare icon in our time, the Honorable Paul Hellyer, former Minister of Defense of Canada, wove a most important, informative unique discussion for world leaders, all decision makers, and for us all, explaining simply the complicated global economic and cosmic bottom-line truths plus the way we can transform this old system! He raised an exciting ORAFLAMME, a flag around which WE can gather to produce a step that will get us out of this mess, with an urgency, so instead of "extinction" we can and will be able to, finally, live in real peace on earth and in space. Don't miss this! 03/25/2016 Friday - Carol talks about her journey to get a ban on all space-based weapons...to get the Treaty on the Prevention of the Placement of Qeapons in Outer Space signed into a binding world law. 03/11/2016 Friday - Carol's very special guests today were Dr. Desiree Hurtak and Dr. J.J. Hutak talking on the future of space. Their focus is on the Outer Space Connection and provide a brief overview of how "Space Law" is critical to our movement into outer space. It is clear that we are shaping a "New Image" of humanity through ethics and the creation of a "Space Kind" living in habitats beyond earth. As we move into space, we may also begin to encounter other Cosmic Cultures who certainly should not see us as warriors, but as peacemakers. This important conversation further honors the passing of Astronaut Edgar Mitchell who understood the power of consciousness and how we are living in a vast and awesome Universe. 02/26/2016 Friday - Carol's very special guest today was the star of stage, screen and TV, Jon Cypher. His most recent TV acting credits include Major Dad, Hill Street Blues, General Hospital, Dynasty, Knotts Landing, Law and Order, Murder She Wrote and many more. He was also the MC for Dr. Steven Greer's Disclosure Project at the National Press Club in 2001. Jon is also the husband of AFR Host, Carol Rosin. 02/12/2016 Friday - On this weeks show Carol began a talk about her unusual personal journey and how she became a Space Treaty activist, including with an introduction to some of the amazing people she has worked with who had a major impact on her life and on some new steps being taken now leading to the possible pivoting of the course of history from war to space, without basing weapons in space. 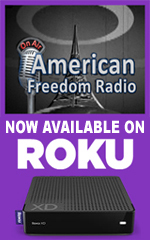 02/05/2016 Friday - American Freedom Radio proudly welcomes Carol Rosin to our family Of broadcasters. On today's show Carol talks about the passing of Dr. Edgar Mitchell, Apollo Astronaut and Space Treaty Activist and shared personal discussions with him about the many applications of Space Age technology and information for human needs, the environment, new energy and peace.